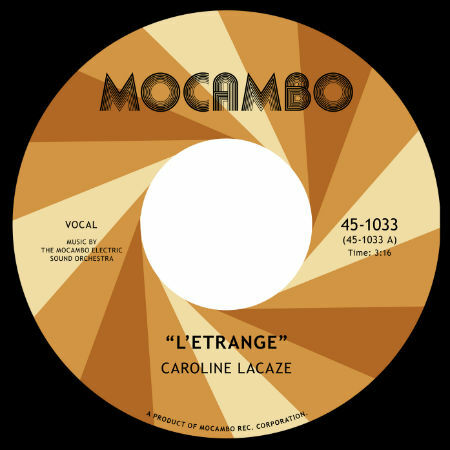 Mocambo Records & Legere Recordings are proud to present new video/ single “L’Etrange” by young soulful French singer Caroline Lacaze, taken from her upcoming album alongside the Mocambo Electric Sound Orchestra, entitled “En Route”, out in all the best stores from April 19th on CD/LP/Digital. “L’Etrange” is available on 45 rpm and digital download, and is a sultry blend of Mocambo raw drums, Caroline‘s lush vocals, and a 60s psychedelic soul tinge, with the instrumental on the flip. This moody track introduces the sound of Caroline‘s album, anticipating what is sure to be one of the revelations of this season’s releases!